The Paralympics have begun this weekend. It’s been several years since I presented an up-to-date list of lgbt Paralympians so this is a good opportunity to present one now. The Paralympic Games have always had fewer competitors than the Olympics. I believe the number of athletes at the PyeongChang games is about 600. The total lgbt Paralympan list is therefore shorter and meagre in comparison to the list of over 300 lgbt Olympians. There have been 21 athletes who have been identified as lgbt at the Paralympic Games, only 3 of them at the winter games. Nevertheless, among those 21 athletes are some record-holders in lgbt sport. Records which include the most number of games attended by one lgbt athlete (Alison Jones, below), the most medals won by an individual lgbt athlete (Sir Lee Pearson – 14, 11 of them gold), and the only lgbt athlete in the UK to be knighted for services to sport (again, Sir Lee Pearson). 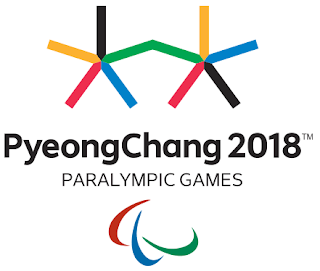 It is only in the past 20 years or so that both the summer and winter the Paralympics and Olympics have always been hosted by the same city. Until Lillehammer in 1994 there was no guarantee of this. This is why the first known lgbt Paralympian competed at the winter games on 1984 in Innsbruck and not in Sarajevo where the Winter Olympics were held. That athlete was Laura Oftedahl. Even with the steadily growing profile of the modern Paralympic movement in the 1960s and 1970s there were very few opportunities for people with a disability to get involved in competitive sport. This was particularly true of winter sports. At the first Winter Paralympics in 1976 there were only 53 athletes. Some nations were more advanced in their provision of facilities and funding than others and it has been in the present century when significant leaps have been made. Laura Oftedalh was born blind. The way she got into sport was through an organisation called Ski for Light which helped people with impairments and disabilities to get fit, originally this was through cross-country skiing. Laura took up cross-country skiing in 1980 at the age of 27. By 1984 she was on the USA Winter Paralympic team going to Innsbruck. The Nordic nations dominated the games, which is no surprise. In the field of 15 female cross-country skiing athletes in her category Laura finished last. She was up against the top Paralympians with much more experience. However, Laura came home with a silver medal from the women’s 5 kilometer relay. Laura returned to the Paralympics held again in Innsbruck in 1988. It wasn’t until Salt Lake City in 2002 that another lgbt Winter Paralympian competed. She was another American, Allison Jones, who wasn’t even born when Laura Oftedahl won her silver medal. Allison holds the distinction of being the lgbt athlete who has competed in the most Paralympic or Olympic Games - 8. She is also the first of two Paralympians to compete at both the summer and winter games. Allison Jones was born without a right femur and has worn a prosthetic right leg since she was 9 months old. Her father, Jay Jones, was an engineer and helped to design and construct devices which enabled Allison to cycle and ski. She could ride a track racing bike before she could ride an ordinary bike, and she began skiing in a special ski programme for people with disabilities from the age of 5. At her first Winter Paralympics in 2002 Allison won silver medals in the giant slalom and super-G slalom. From then until the next Winter Paralympics in Turin in 2006 she was ranked first in downhill skiing, slalom and giant slalom at the World Championships. She went on to win a gold medal in Turin and a bronze in Sochi 2014. In between her four winter appearances Alison jones competed in four Summer Paralympics beginning with Athens in 2004. She got the bug for cycling after seeing the 1998 para-cycling world championships in her home city of Colorado Springs. It wasn’t until Beijing in 2008 that she won her first cycling medal, a silver in the women’s time trial for classification group. Her most successful of all her Paralympic appearances was in London 2012 when she won a gold and two bronze medals. Tragedy overshadowed the run-up to the Rio Paralympics of 2016. Allison’s father Jay was killed in a plane accident in July just two months before games. Allison continued to train through her grief and was determined to go to Rio. Just before the games began Allison had decided that these would be her last summer or winter games. Team USA chose her to carry their national flag at the opening ceremony. Her highest placing in her races was outside the medals with a fourth place in the women’s road race. Also competing in Rio 2016 is the last of our 3 lgbt Winter Paralympians. On the Canadian wheelchair basketball team was Cindy Ouellet who made her Paralympic debut in Beijing in 2008 and she is making her winter debut this week in PyeongChang. At the age of 12 Cindy was diagnosed with bone cancer. She had dreams of becoming a footballer or a skier. Instead she threw herself into wheelchair basketball. But her dreams of becoming a skier have now come true. In PyeongChang she will compete in sitting cross-country skiing on Wednesday. It may be a few years before the Winter Paralympics have the same number of out lgbt athletes as the summer games. 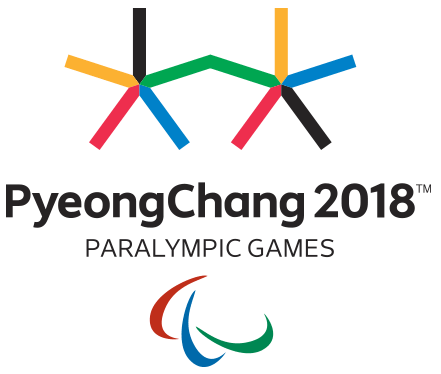 The Summer Paralympics is on a level with the Winter Olympics in terms of out athletes. The Olympics that ended a couple of weeks ago had 15 out athletes and the Summer Paralympics had 14. No doubt was all wish Cindy Ouellet and all the Paralympians success in PeyongChang. Now, here is the link to the up-to-date list of lgbt Summer and Winter Paralympians.